[Reblogged] Is this the end of slum upgrading in Brazil? 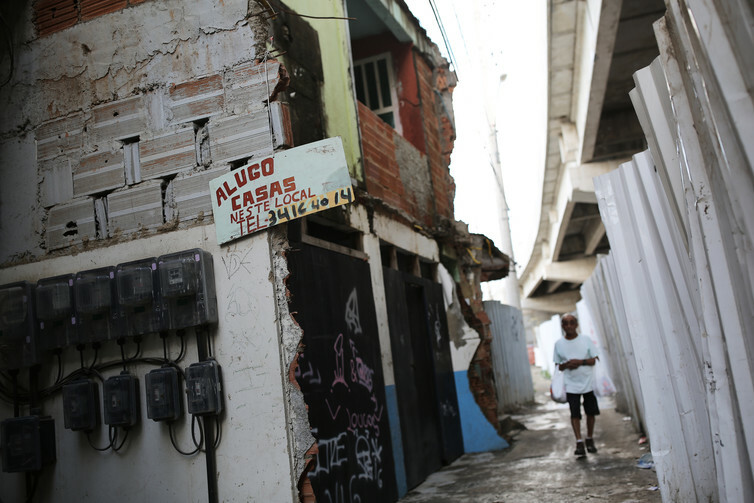 Is this the end of slum upgrading in Brazil? In Brazil’s ongoing economic and political drama, one of the latest developments is a congressional proposal to freeze federal funds at 2016 levels, adjusting the 2017 national budget only for inflation. This move would mean deep cuts to spending on social programnes. Though such reductions would affect programmes that launched millions of Brazilians into the middle class and put the developing country on track to meet many of the Millennium Development Goals, the senate seems likely to approve the budget freeze. For Brazilian cities, this government belt-tightening promises a disquieting change: the possible end of the country’s ambitious slum-upgrading programs. Despite Brazil’s great wealth, many poor neighbourhoods known as favelas (slums or “informal settlements” in urban planning parlance) still struggle with inadequate construction quality, no sanitation, environmental risk factors and lack of the most basic infrastructure. In the past, the country has approached its slums in various ways, including razing them and displacing the residents. The focus on upgrading started in the late 1980s, aided by a new constitution in 1988 that included housing as a right, alongside health, food, and education. The constitution also put the responsibility for urban development – meaning housing, sanitation and transportation – squarely in government hands. This strategy replaced a century of mass displacement of poor people, from the “city beautification” movements of the early 20th century to real estate speculation in the 1950s and 1960s. In the early 1980s, the military government enforced massive evictions of poor residents living in valuable areas of the city. As shantytowns were bulldozed to make way for high-end developments, poor people were forced to move increasingly far away from cities’ commercial centres. 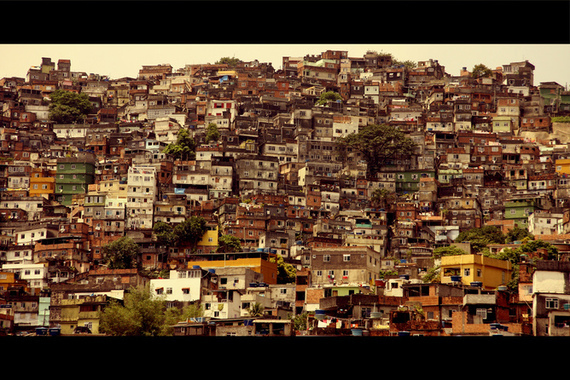 Today, Brazilian slums are most commonly found in the urban periphery. In addition to pushing the poor to the outskirts, such measures encouraged the sudden creation of entirely new neighbourhoods within cities. 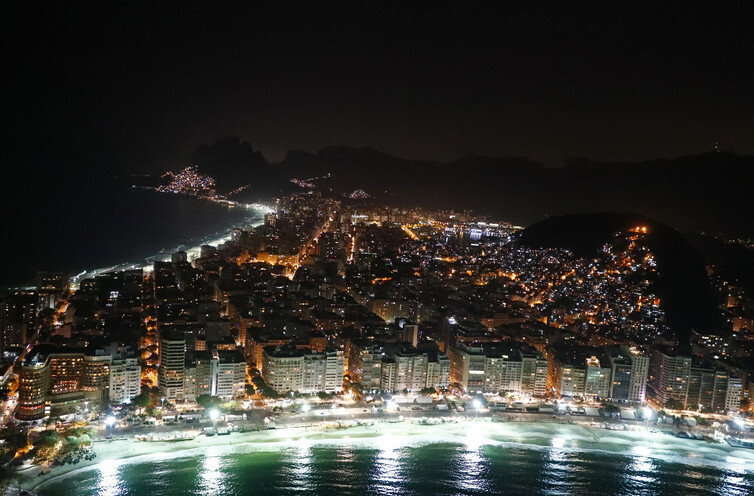 For example, Rio de Janeiro’s City of God, once so violent it inspired a film of the same name, dates back to 1960s removal policies that pushed out residents from 63 slums in the city’s southern zone – today the wealthiest part of Rio. By the late 1980s, cities were trying new strategies. Pushed by the powerful urban social movements of Brazil’s early democratic period and bolstered by the 1988 constitution, Rio de Janeiro, São Paulo and Recife, among others, began to implement affordable and modest step-by-step upgrades to slums in partnership with residents. They addressed the critical question of land tenure with Certificates of Real Right to Use, which recognised the slum-dwellers’ right to occupy previously public land. Cities also created new zoning laws that designated some neighbourhoods as having a “special social interest“ – meaning, they must stay affordable for people in the lowest income brackets. An elevated highway built for the Olympics now runs through Vila União in Rio – not exactly the ‘upgrade’ residents need. Feeling safe from the threat of eviction for the first time, locals began to invest in their homes, replacing precarious tin shanties with larger and higher-quality constructions. They opened small businesses in their neighbourhoods. In 2001, the new City Statute gave local governments a federal mandate to create concrete legal tools to address the problem of “irregular” urban property. Low economic growth and rising unemployment in the 1980s and 1990s had spurred more people to settle in slums; population density of Brazil’s informal settlements was now between 500 and 2,000 inhabitants per hectare . The problems facing these neighbourhoods had also become more complex, and upgrading would require significant physical reworking of the area. These included building drainage, widening roads, building green spaces, and the like, all of which required more funding, generally obtained from international donors. Successful examples such as Favela Bairro in Rio de Janeiro, are from this period. There, using funds from the International Development Bank, the city constructed a sewage system, implemented environmental risk control, channelled streams, and created parks. Eventually, the government designated federal resources to help Brazilian cities fix up their slums, in the form of the Growth Acceleration Program (PAC, in its Portuguese acronym). This is the program now endangered by budget cuts. In 2007, 20.7 billion reals (approximately US$10 billion) in PAC funds supported 3,113 housing interventions, including for cities with less than 50,000 inhabitants – a rarity, since Brazilian housing policy generally focuses on large cities. In 2010, a second PAC allocated 17 billion reals for 415 projects, targeted at larger cities in the states of Rio de Janeiro and São Paulo. “), but not since the 1980s has the future of poor urban neighbourhoods been so unclear. This uncertainty is particularly concerning given the relationship between poverty, race and informal settlements in Brazil. Many slums originated after abolition in 1888, when freed slaves began to build their own homes the only way they could afford: constructing shacks in overlooked urban areas with less threat of eviction. The oldest favela in Rio de Janeiro, Morro da Providência, was founded in 1905 on an unbuilt swath of the city bordered by factories, graveyards, and railroad tracks. Today, its population is still largely black and brown, and its problems have grown from insufficient infrastructure to serious gang-related violence. Some favelas arose when poor people were forced out of places like Copacabana to make way for luxury development. Black and mixed-race people still make up the majority of residents in Brazil’s informal settlements. New maps of Rio reveal that the iconic beachside neighbourhoods of the city’s wealthy southern zone are 80% to 90% white, while people of colour live in the poorer north and west zones, with the highest concentration in favelas. The project was undertaken by a geography student and based on US maps that show how poverty, race and neighbourhood correlate in that country. Brazil’s current economic hardship and rising unemployment have sent more families to live in slum conditions, and more cities now have informal settlements than in previous decades. The latest census data show that (26.5% of Brazilian households), or 13 million citizens, lack basic infrastructure. Poor neighbourhoods are also growing denser. This reflects, in part, the difficulty that poor people face in finding urban housing, thanks to skyrocketing real estate prices (a relic of the country’s boom years). In São Paulo alone, the city estimates that it would need to construct 368,731 new homes to be able to fill its housing gap. There, some 811,377 households lack one or more basic urban service like drainage or sewage. Thus, the slums are “swelling“. Their area does not increase, but the population does. Buildings are growing taller, making upgrades harder. Even after 30-plus years of upgrading efforts, today, in some municipalities, nearly half of households still lack basic infrastructure. Waste treatment and removal remains the greatest challenge. And the poorest slums are situated in unsafe locations such as steep hillsides or flood zones, areas heavily impacted by climate change. This has caused dramatic loss of life and physical property. Urban poverty isn’t just a problem for the people who live in such conditions: epidemics such as dengue and Zika are attributed to the precarious urban-environmental context of Brazilian cities. If Brazil moves forward with its proposed budget cuts, there is little hope that Brazilian urban households will overcome their challenges in the next two decades. The country can ill afford such savings.